Armenia is a lower middle-income country, with an estimate GDP of $3,898 per-capita. Fourteen percent of this income comes from remittances, or money sent into the country from Armenians working elsewhere. Nearly a third of its population lives below the poverty line. Established in 1999, FINCA Armenia serves more than 36,000 clients through 38 offices, supporting farmers and entrepreneurs throughout the country. It offers loans for businesses, farmers and consumers. Despite notable progress in recent years, 55 percent of adults lack access to a basic bank account. FINCA reaches some of the most excluded populations in Armenia. Women account for about a third of our customers, and just under half are from rural areas, where services of all kind are in short supply. Like most people in the region, FINCA's clients in Armenia enjoy full access to electricity and relatively high levels of education. 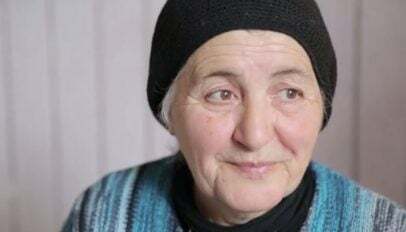 Although Armenia has abundant water resources, however, a portion of the population -- including 16 percent of FINCA customers -- must travel long distances to collect it at source. Also, while Internet penetration has improved in recent years, about a third of our borrowers do not have access to this important service. FINCA's customers in Armenia are savvy business people. Their businesses earn the highest profit margins among all FINCA customers -- about 55 percent of total sales wind-up as net earnings. However, the average value of these profits is quite low, at less than $3,000 per year. The enterprises funded by FINCA employ more than 63,000 people, including the owner. Most of them are paid a living wage, meaning that their wages are above the national poverty line. 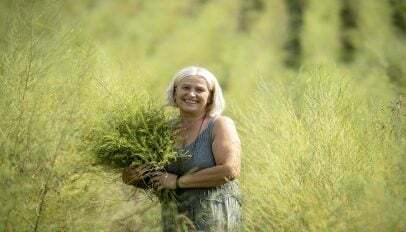 Women make up about a third of FINCA's borrowers in Armenia, and most of them are the main source of income for their families. Single mothers make up 14 percent of all borrowers, which is the second highest in the region after Tajikistan. Many of our female borrowers, however, are in business with a male family member, reflecting more traditional social norms that are common throughout this region. Having access to credit, however, gives women greater responsibility and authority within the business. FINCA's clients in Armenia have a variety of goals. While 31 percent of them want to grow their business, another 23 percent aim to improve their home. Our borrowers also use their loans from FINCA to pay-down more expensive forms of credit and to purchase assets. These activities show how access to credit gives our clients greater financial autonomy and freedom to allocate resources towards the ends they consider most useful.